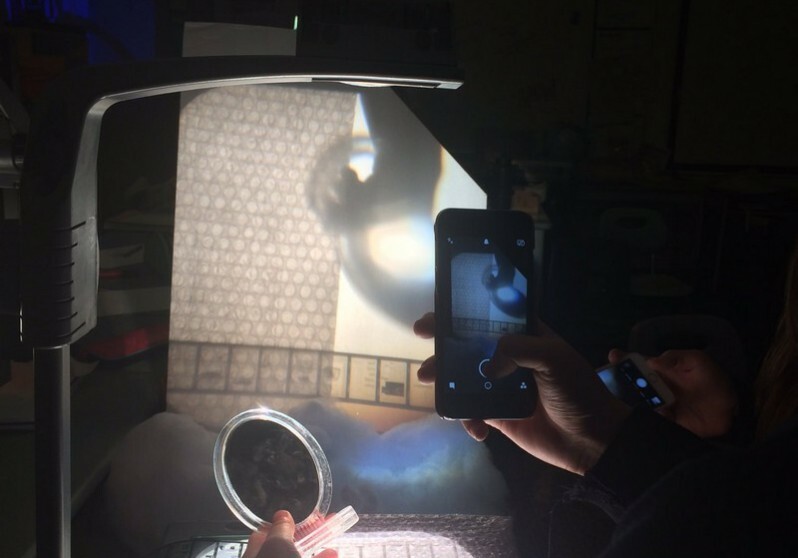 A collaborative a/r/tographical process based approach to investigation and studio work with a Grade 11 class. 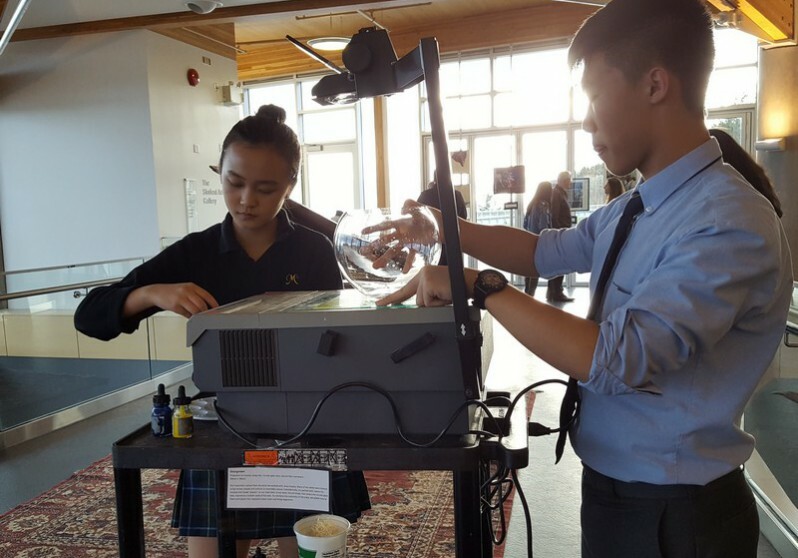 The students chose their own Vancouver Biennale installation which they investigated and visited virtually and/or physically. This approach facilitates diversification on the scope of learning that took place in the classroom. 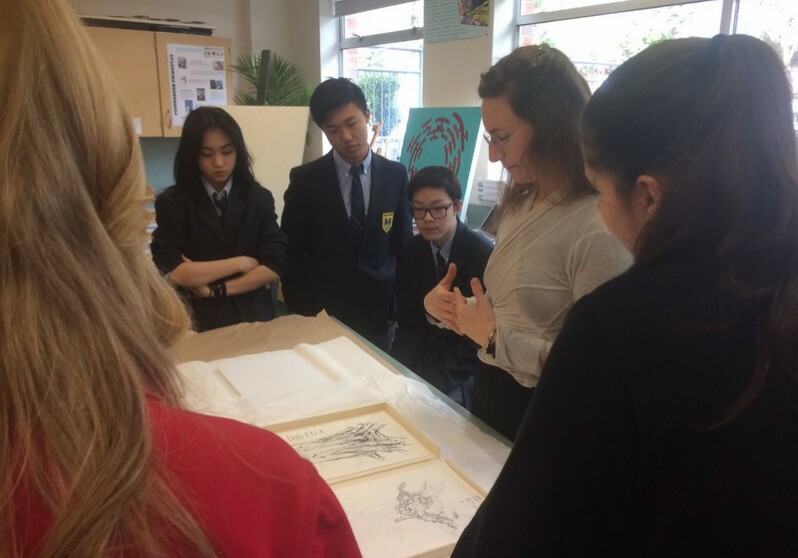 Student investigation used the formal and theoretical frameworks for analyzing Artwork. Students worked in groups of three to compare and contrast their investigations of one or more Vancouver Biennale sculpture/installations. This collaborative process encouraged further insight into public installations (Vancouver Biennale) as well as introduced breadth to the work. 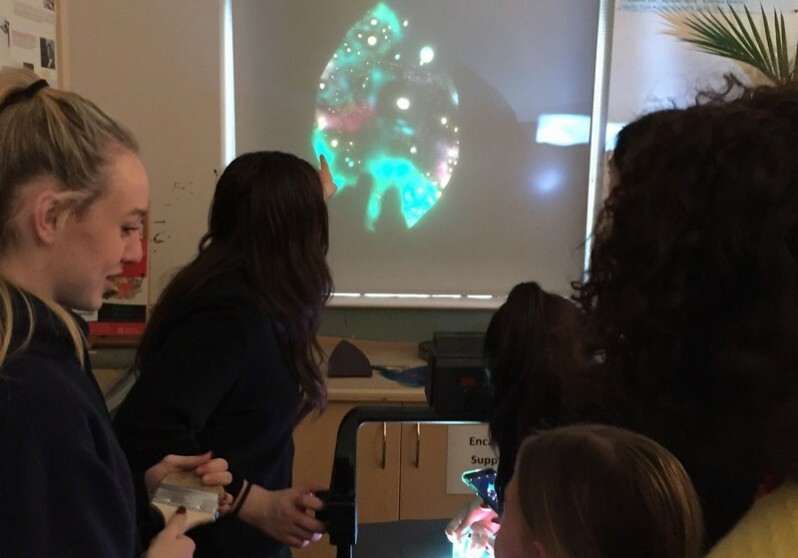 Students posted questions they encountered during the research process with Vancouver Biennale education team through a Skype session and shared their investigations with the class. The students then visited selected sculptures/installations as a class. At each installation students are challenged to see, feel, smell, hear, and shared their research and understanding with others. Meaningful artistic expression requires the engagement of the mind and body. 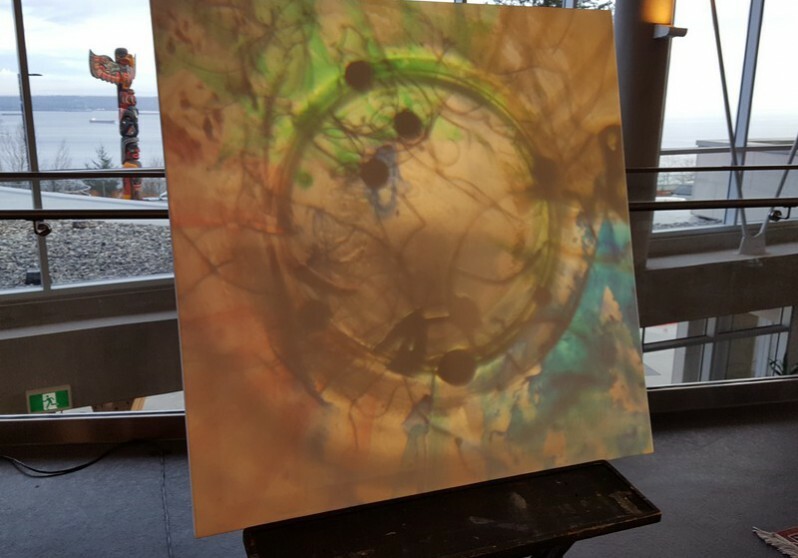 The visual arts reflect the interconnectedness of the individual, community, history, and society. Visual arts provide a unique way to represent self, personal identity, and cultural expression. Growth as an artist is dependent on perseverance, resilience, and reflection. What are all the ways collaboration can impact the creative process and make global connections? From observation, ideation, prototyping, to experimentation and reflection. How might we explore our relationship to screens and light together through collaborative pieces in a global context? 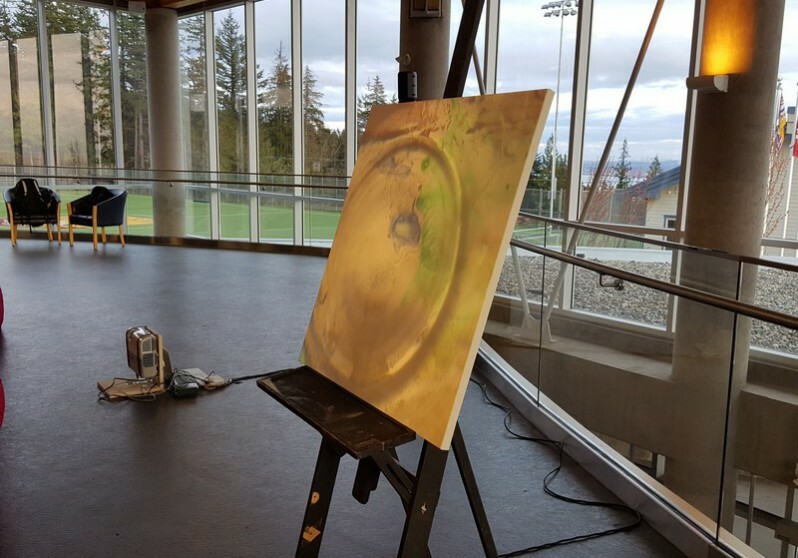 Through the project BIG IDEA that visual arts reflect the interconnectedness of the individual, community, history, and society, the creative process cross the content curriculum of social studies, language arts, and arts education. 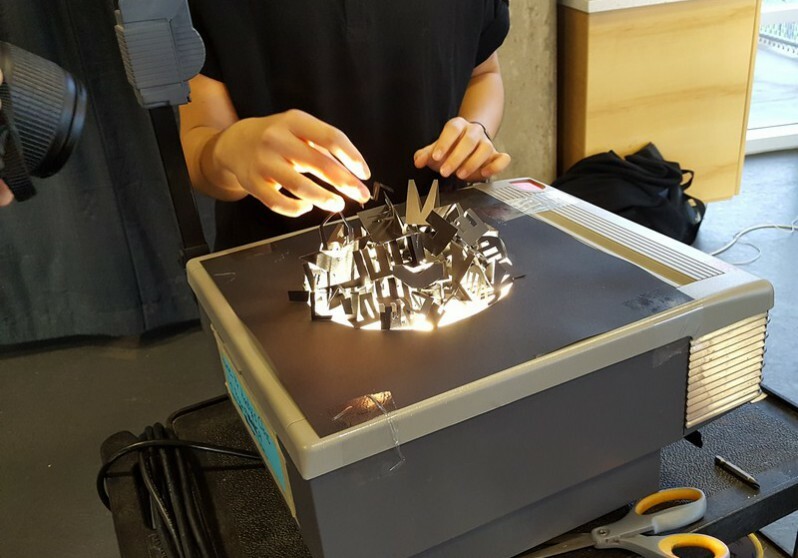 Through the guiding question of How might we explore our relationship to screens and light together through collaborative pieces in a global context?, the creative process cross the content curriculum of science and mathematics. Students scaffold their learning (projects) based on their interests and point of view. Students have choice in the work they investigate, the questions they ask, the response they create. Students are engaged because they are provided the opportunity to choose their own focus area in this project. Students explored on an individual basis the works of artist collaborator, Amy-Claire Huestis. 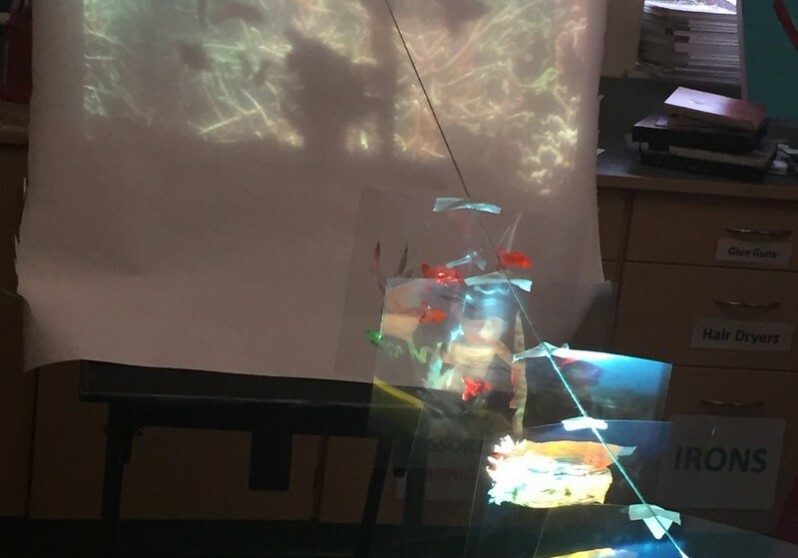 The class began the learning process by collaboratively exploring the work of the BIG IDEAS Artist Collaborator, Amy-Claire Huestis using formalist and theoretical frameworks. One of the the works is “if trees had eyes”. Students recorded their research in their Process Journals and created a list of questions for Amy to help them further understand her creative process. Students explore on an individual basis Biennale installations, bringing thoughtful research and discussion into class. 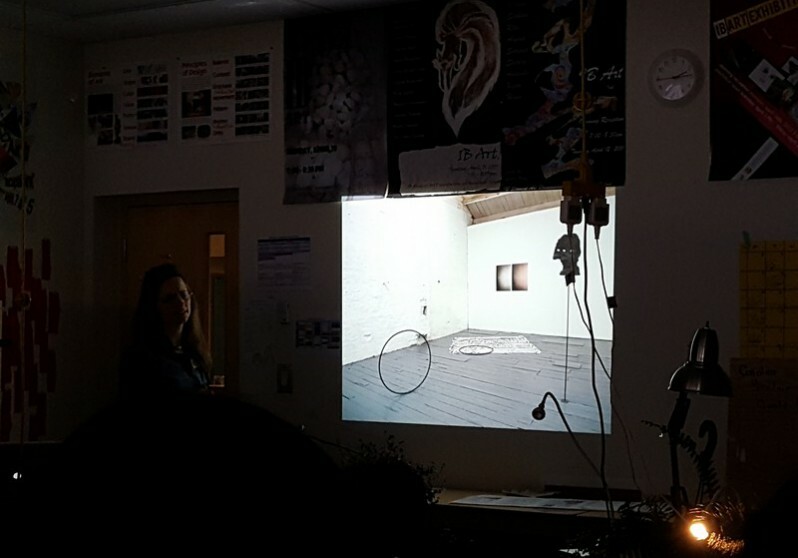 Students selected an artwork from the Vancouver Biennale and applied the same frameworks to investigating it. This further allowed students to explore the Global Context of the work. Allowing students to select different artworks created depth and breadth in the student choices later in the collaborative creative process. 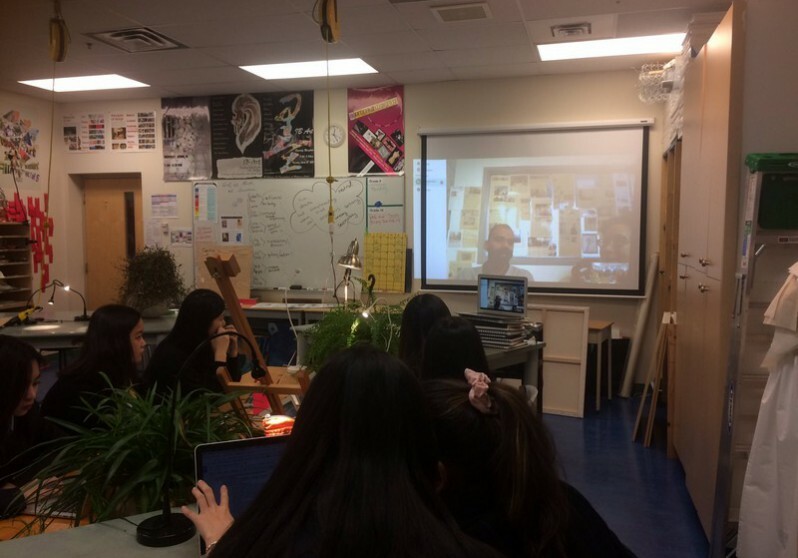 Students posted questions they encountered during the research process with Vancouver Biennale education team through a Skype session. 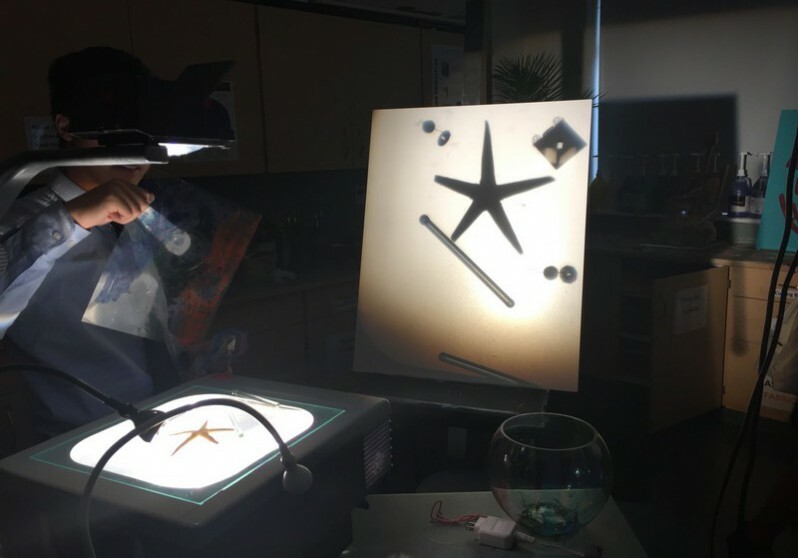 The creative process that students embarked on were inspired by their playful collaborative investigations. Students co-constructed a question which they explored in their creative practice. Example: Public Furniture | Urban Trees investigation lead to the question of what are all the ways we can re-use discarded items in our lives? A design thinking protocol was used to come up with effective questions and make global connections. 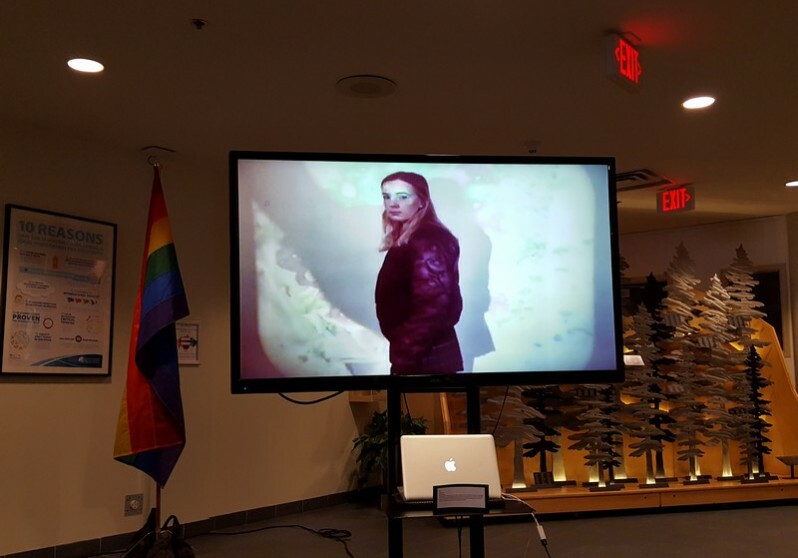 Artist collaborator, Amy, presented her own work as well as contemporary examples of collaboration and artists’ work using light and projection. 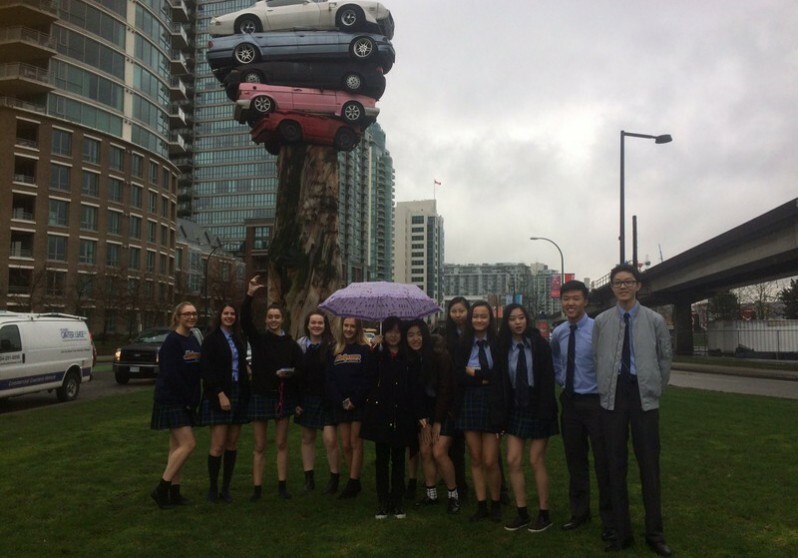 Students respond through discussion and also creatively, on an individual basis, to the artist collaborators and to the Vancouver Biennale works. Amy and Alina discussed responses in groups and on an individual basis these responses. Working with projectors (video and overhead), cameras, iphones, and various screens, students and artist collaborator, Amy, worked in groups to create video installations or screen-based installations that challenged the conventional rectangular shape of the projection screen or screened device. Class discussions and explorations happened throughout this project. Students worked through a process of questioning, posing a question as the motivation for their work. 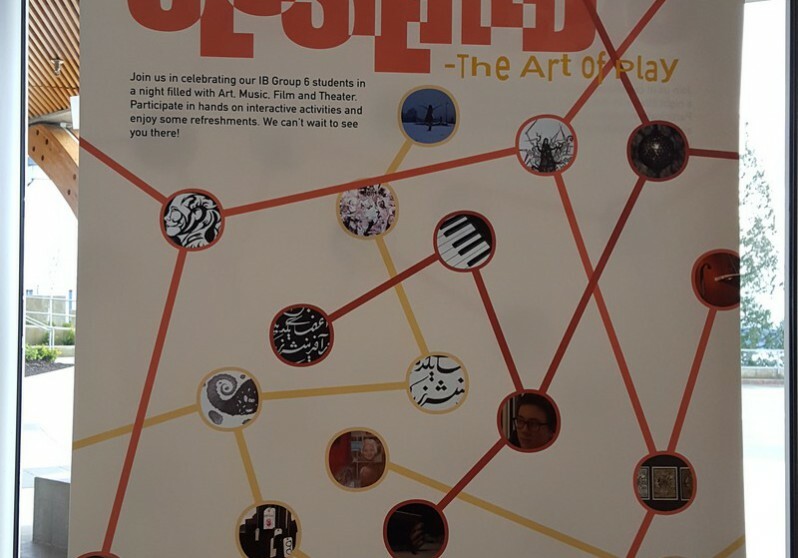 Students curated their own work for a final showcase that took place on April 6th during the IB Arts Grade 12 exhibition, Clustered. This provided them the opportunity to engage the community in their work. 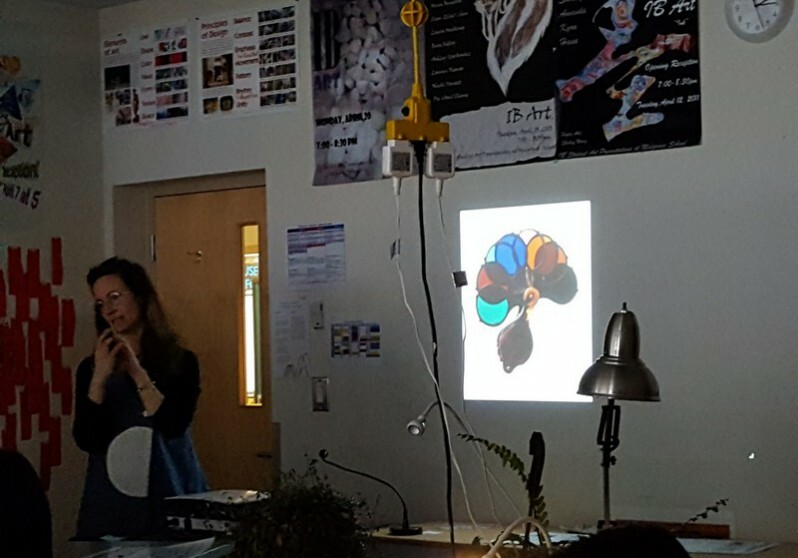 The work students created was shared through their Artist websites as well as social media including Twitter, Instagram, Facebook, and Pinterest. 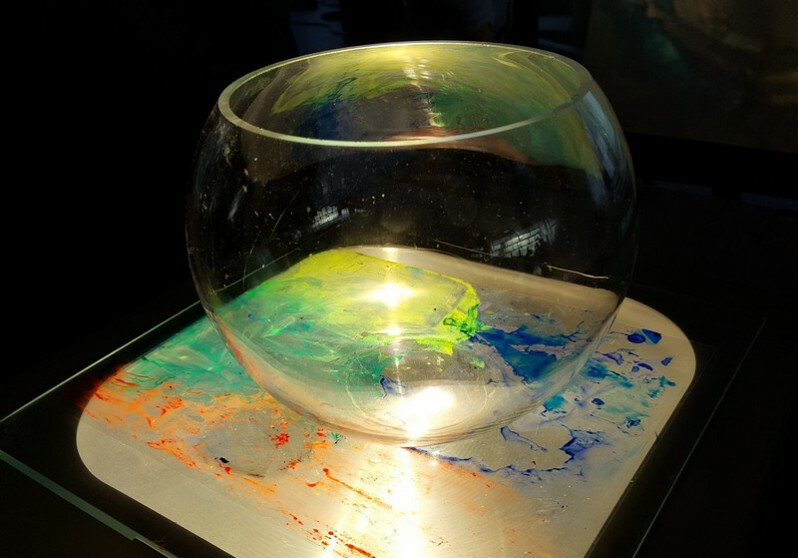 These Artwork as well as their questions of inquiry helped the students to make Global Connections to other viewers. Vanllantis refers to the mythical kingdoms of Valhalla (sky) and Atlantis (ocean) which are elements we interact with in our daily lives. However, with advanced scientific research, we can decide the boundaries of what is real and what is surreal. Paper cut outs of surreal creatures at varying distance in the cone of light of the digital projection, casts blurry silhouettes on videos of our daily environments. This piece challenges human perception and stimulates our imagination. The project is designed to combine multiple ideas in a collaborative method using new media. As a group, we each had our own ideas: space, time, and control. This piece stimulates all of these concepts while simultaneously drawing in the aspect of collaboration. Over time, the negative space becomes filled with shapes that control the performance. In a larger frame, the piece show how different ideas can work together, but in the end, it can also be chaotic. The main intent of this piece was to create a provocative media collaboration between sound, light, and movement. 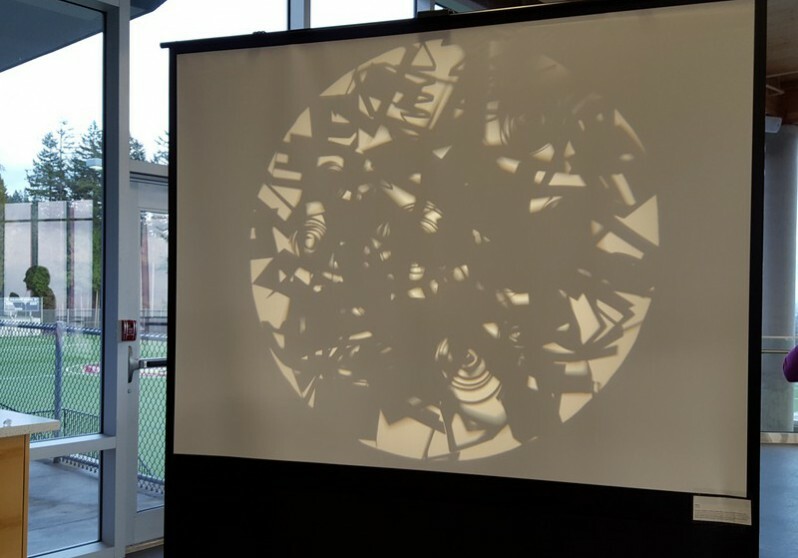 The students took inspiration from the artist, Amy-Claire Huestis who is known to play with various visual mediums. 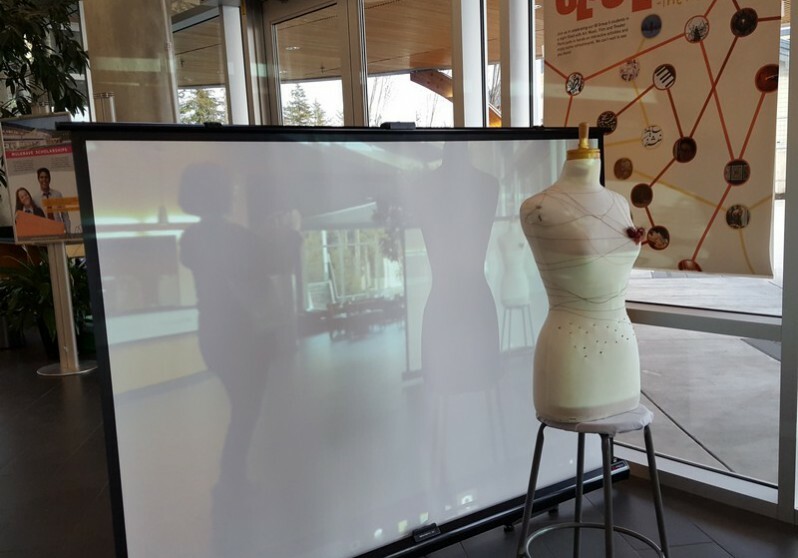 The students were inspired by the concept of identity and the body by creating a projection-based video that explores the physicality behind that. Our inspiration comes from the artist, Amy-Claire Huestis. Many of her works were formed using various shapes and colours to resembles nature. Coincidentally, both student artists adore this concept and chose “season” as their main idea. In this work, the ink drops, that covers the circular glass vase, represents a whole cycle of the year. To reinforce the naturality of the piece, we added natural fibers and pearls that represent plant roots and living organisms. The intention of this piece is to document and storytell the process of creating our performance. We are collaborating together and with you, the audience, to inspire each other and continue the performance with new creative ideas through the interactive media of video that satisfies the performance & entertainment addiction present today. Our work explores body image, video manipulation, and resembles social media habits present in apps like snapchat and instagram, and selfies in general. Let’s heal the divide is my chosen Biennale installation. Its light play using neon light and colour inspires me as it relates to science and draws viewers to one point of focus. I was drawn to the minimalist of the piece, its simple display is beautiful and yet the underlying message is complex. The installation speaks to we are all one community and changes are important, manipulation of situation that we are confronted with is also important to create and build a strong sense of togetherness as a community. Trans Am Totem is my chosen piece as I like the combination of manufactured cars and the natural tree. I passed by it all the time and it was interesting to research about the artist his past and events he grew up with into the piece and how he inspires me to creating yourselves in your own piece and see it in different media. Working on the projection-based video US allowed for three of us to collaborate with each other. 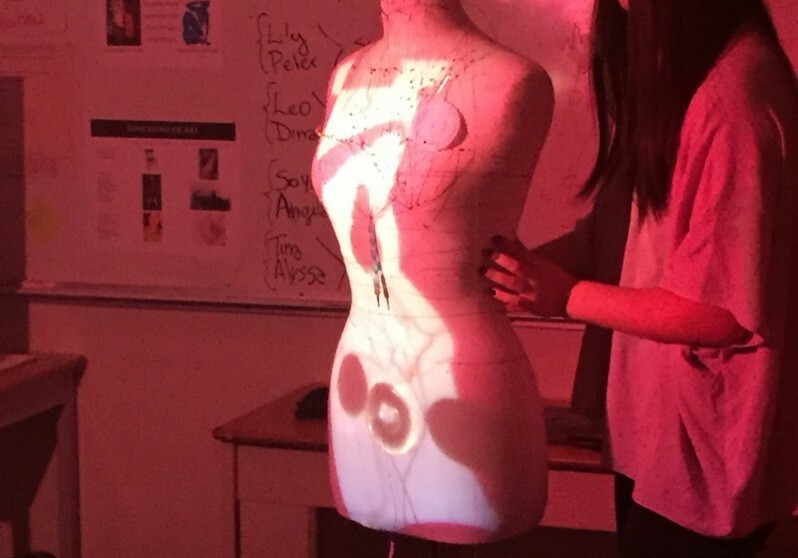 We looked at sound, light and self. We have the opportunity to take advice from each other and other artists and what they produce. Day Dream is a collaborative of two student artists and the audience. 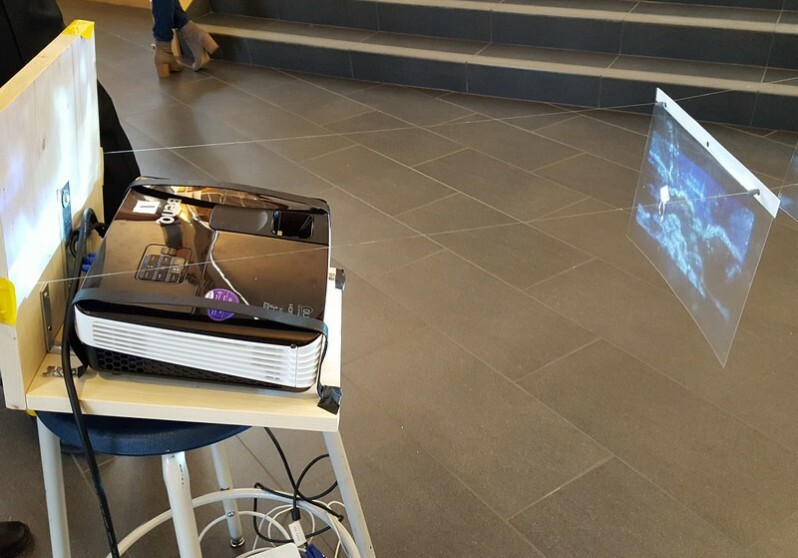 When people pass by the camera, they can see themselves on the projector screen. It relates to the theme of social network and society where people are so fixated on how their visuals are looking. People are concerned with the standardization of body art and what beauty means. When we spent time workshopping with Amy, we went through a lot of projection activities. We were inspired by how she creates project relating to entertainment and performance addiction on her website. Relate the camera function to the camera of the social media – people taking selfies and people are so immersed in how they look. We researched the Biennale artwork The Stop as a comparative study. The Stop and the Day Dream holds some similar purpose as The Stop tries to get your attention and makes you stop and notice your surroundings. Day Dream is positioned right at the entrance of the school and it shows yourselves when you go through the door of this building, this art installation also tried to get your attention. Values is a combination the concept of space control and time. The performance piece starts with a blank screen as the artists fill the negative space with irregular shapes the screen eventually becomes black. When we begin working on the project, we know that we want to convey the message of values by playing with different shapes using the projector. Every time we perform the look is different. Taking the workshop with Amy, we learn to challenge our idea through play rather than just focus on creating an art installation. We researched the Biennale artwork Human Structures Vancouver which is totally different from what we end up creating. Human Structures Vancouver – the shapes are all the same and colourful and we use different shapes and only black in our shapes for Values. The research project allows us to delve deeper into the concept of how artist present their ideas. Vallantis inspiration comes from seeing Amy spraying water and the cone of light shows up. 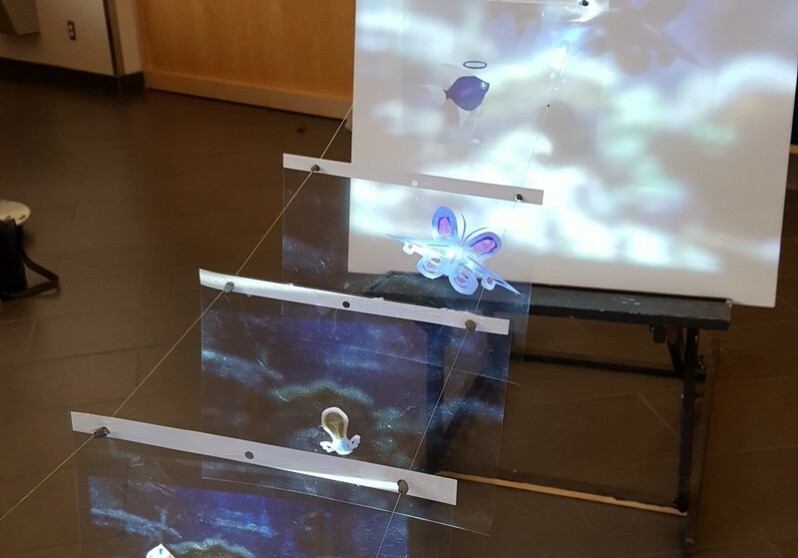 The theme of Vallantis is about nature and ocean where objects from nature paired with everyday objects like butterfly with flying light bulbs. The concept was developed from playing with surrealism and the artists own interest in ocean. I researched the work of the Biennale artist, Vik Muniz and his projection work which inspires the video that was used in this installation. What a joy to work with Alina’s class at Mulgrave. Students dove into the project with thorough research of both my work and Biennale works, posing thoughtful questions and discussion. As students were allowed to choose from a number of Biennale works, there was then echoed a great variety (in the class) in their creative responses to these Biennale works. This process allowed for their own personal aesthetic choices and development throughout the project. 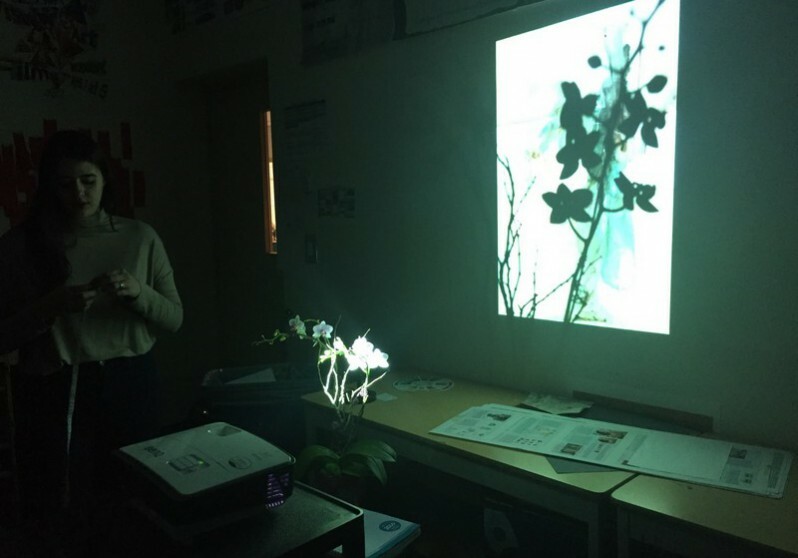 It also allowed for me a window into their own interests and activities, as students were able to explain what it was about each particular Biennale work that interested them, and to make connections to their own pieces. Being instructed to engage in a playful mode of exploration, the students readily fell into a playful zone from the start. 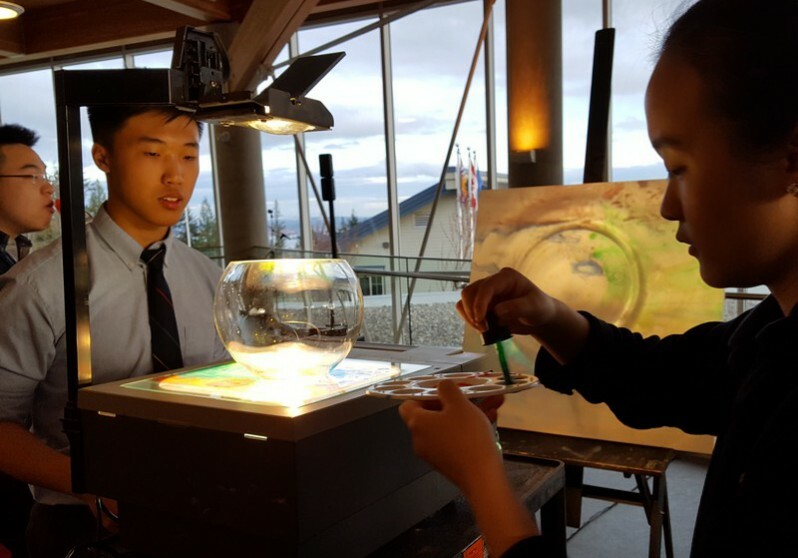 This was extremely rewarding for them, as their works sprang to life immediately from the first class onward (for most groups – one group thoughtfully considered their project). The advantage of collaborative projects like this is seen in the results – the act of collaboration can immediately place us in a “free” mode of making, with our ideas emboldened through sharing. Students working together were very confident from the start in their projects, making wonderful discoveries together and moving these forward into such intriguing works. Alina has a very open approach to her students, working in a very present and thoughtful mode with them, shifting each class to suit their needs and schedules. This is very condusive to art-making and artistic processes. 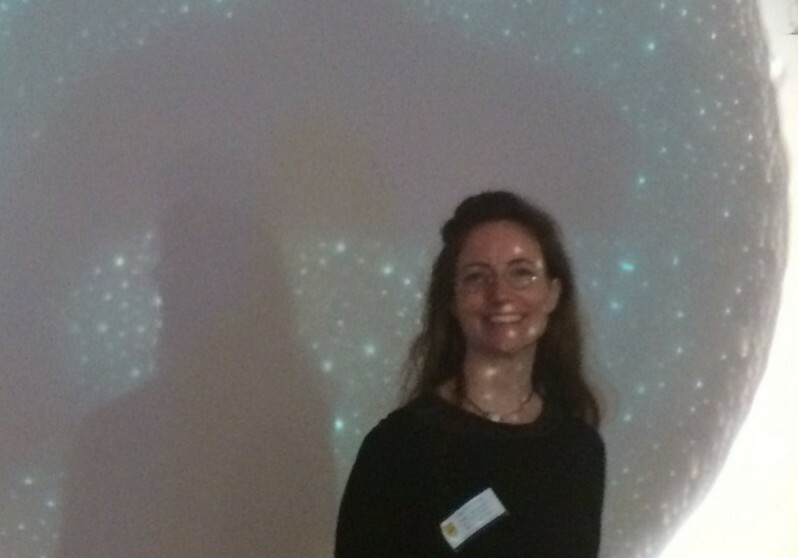 Sepideh Sali, also, was a great addition to our teaching team (being an artist who works with live projection).